Civil Aviation Minister Suresh Prabhu tweeted on Tuesday that the ministry will be reviewing the fares, cancellations and other issues related to Jet Airways. 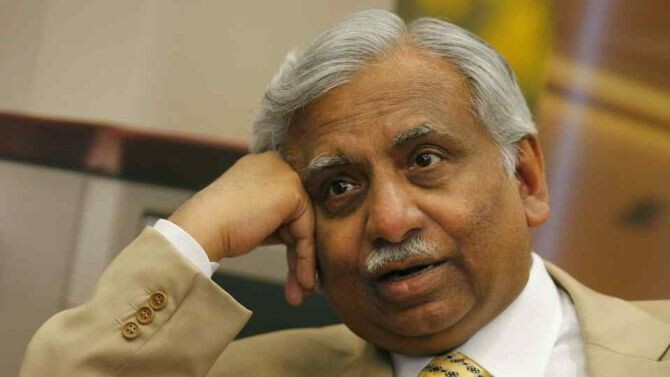 Jet Airways' founder Naresh Goyal will not be bidding for acquiring a stake in the company during a meeting on Tuesday. Goyal will also not return to the company. Goyal and his wife Anita had stepped down from the company last month. The news of Goyal distancing himself from the company has put speculations to rest that he will be making bids for stake in Jet. A Times of India report said that Goyal did make a bid for a stake in the company but had to withdraw his expression of interest (EoI) after lenders such as Etihad Airways and TPG Capital said that they would withdraw their contribution if Goyal does not withdraw his EoI. The lenders plan to raise Rs 15,000 crore to the debt-ridden company. Jet Airways, which was once India's leading airline, is now operating with under 10 aircraft. They are waiting for a full fund inflow under a new debt resolution plan. "While there is no money to run the airline, the only reason attempts were being made to continue operating it was to ensure it gets a buyer. Once the airline is shut, what is there to buy? The slots will anyway be available in Delhi, Mumbai and Bangalore once it stops flying," a source was quoted as saying by TOI. The authorities are set to meet other airlines and discuss on how to divide the slot among them. SpiceJet and Indigo are said to have added more aircraft into their fleet. Due to the cancellation of the majority of Jet Airways flights last week, other airlines made massive profits with an increase in bookings.